Two Friends Creative specialize in Squarespace and Wix web design and we are a member of Squarespace Circle. Need a landing page? We can help with that. Need a new website? We can help with that too. Need some smart copy to impress your customers? We’ve got you covered. Scroll to see some of of latest projects. Two Friends Creative helped conceptualize a redesign for the Momo website that reflects owner Lei Ann Shiramizu's whimsical style and unique selection of hand picked goods. In addition to a clean and user friendly design approach, we worked with Momo to create copy and a fresh perspective of her retail location. View Momo's new site at www.momoseattle.com. 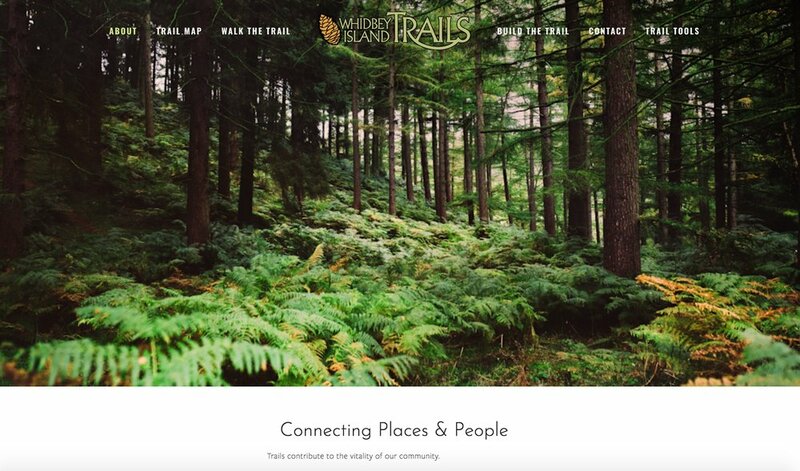 Working closely with Kent Hanson, the founder of Whidbey Island Trails, we created a simple and beautiful site that conveyed the overarching message of how trails connect communities to one another and build a foundation for recreational enjoyment in homeowners' backyards. Ricardo Novak of Novak Design created the beautiful logo and the brand identity of Whidbey Island Trails. View the website at www.whidbeyislandtrails.org.